I’d like to think my hair salon is like no other. Why? Because my clients visit me for one of their most important features, which expresses who they are to receive the ‘wow’ factor and I make sure I share my tips of the trade so they can continue creating their beautiful style at home too. I do this by finding out about you and your lifestyle so I can create the high-end beautiful styling which really works for you and your life. Having great hair really boosts our confidence and looking good isn’t always about following fashion – I have an instinctive flair for knowing what suits each person and here at The Studio we believe our salon is a salon with a twist – we have a high energy buzz and one you will want to return to time and time again. Niall – who is he? 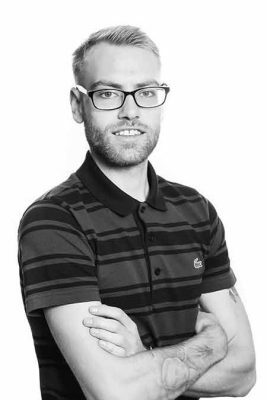 Niall has worked alongside me in the salon now for around 6 years, but he’s more than part of the furniture – he’s something very special and that’s why he’s working at The Studio. He’s a fully qualified hairdresser and barber, with a unique sense of style which he executes with exquisite precision and he has a passion for creating beautifully styled hair for every individual. I would like to introduce Emma Todd to our small however, amazing team even though I say so myself. It’s taken me 18 months to find Emma! It’s been frustrating wanting to grow the team and not being able to find the right person. Emma has been with us for three months now and I can confidently say she contributes with her hairdressing skills and oozes with artistic flare. Emma has been hairdressing for 12 years and is a great hairstylist she has worked in the USA on cruise ships and in only a couple of other salons! Go into the gallery where you can see Emma doing what she loves, of course Hairdressing!!! Keep checking the website as we are in the process of adding to our Gallery. So, who is Jayne Jackson? 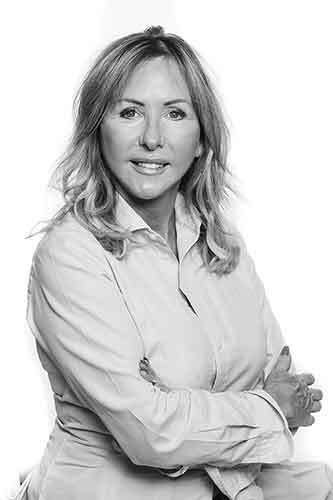 Jayne Jackson is quite simply one of the most sought after stylist and hair extension designers around, often used by celebrities and models we see every day in the glossy magazines and on the TV. You can also have the look and feel of celebrity hair. It’s not out of reach and only for the rich and famous, Jayne strongly believes every woman should be made to feel special – she understands what will look fabulous on you the moment you walk through the door. 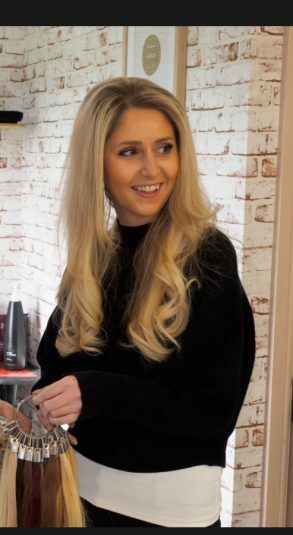 Jayne’s specialised in extensions for around 10 years now and in the past has worked with some of the North’s top salons, before launching her own successful business. She appreciates every woman is different and tailors her consultations to discuss how to get the best look and feel from your hair. Even if you’re not a celebrity you’ll be made to feel like one. With Jayne Jackson you get the personal touch. She believes in star treatment for everyone and she understands every woman is different – from her hair colour to the volume we are born with. In your consultation Jayne will study your face, bone-structure and body frame. You’ll wonder why you have never used her before. Your hair is a walking advert for Jayne’s skills and her salon, so she will always chat through what will work best for you, your hair and your lifestyle – be that fabulous extensions or a vibrant new colour. Using only the finest quality hair, Jayne will colour match the extensions to blend in beautifully. Hair will instantly feel like it’s your own and you’ll leave knowing you are confident looking after your extensions. Enjoy being pampered in the state-of-the-art studio. Whatever the occasion, whatever the hair, let Jayne Jackson work her magic on you.